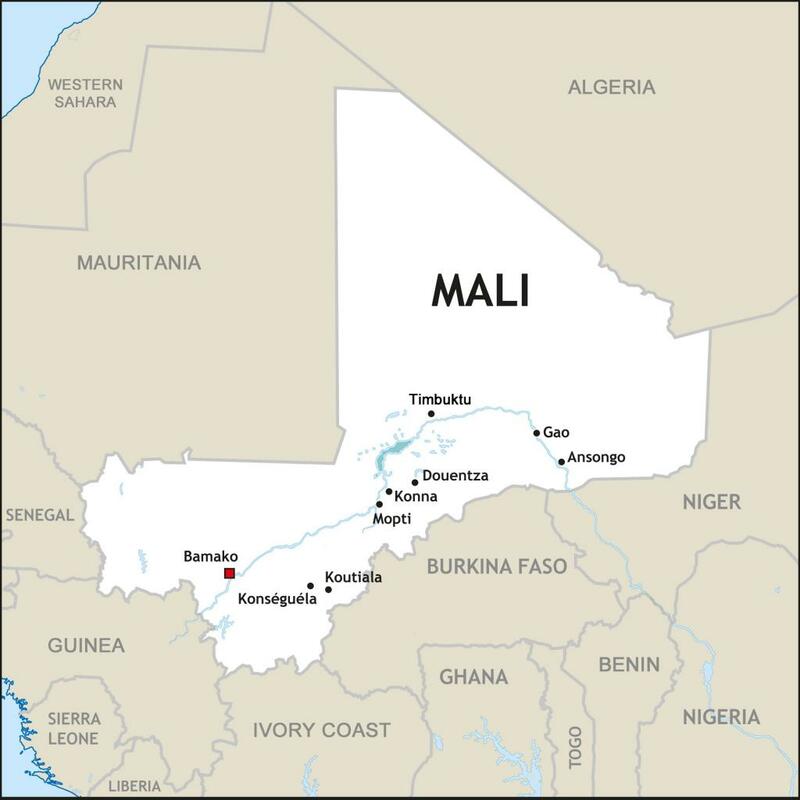 Intense fighting occurred over the last week in central Mali – particularly in the town of Konna. Médecins Sans Frontières/Dcotors Without Borders (MSF) teams have been working throughout the area straddling the line between the north and south of the country, in Douentza and Mopti, for several months. Ibrahim Ahmed is in charge of these two medical projects. Here he describes the constraints that MSF teams face and provides an update on the situation in this pivotal region. What is the situation in Mopti? When we arrived a week ago, people were leaving the city ahead of the fighting. We all knew that the war had reached Konna, a small town 70 kilometers from Mopti. People were leaving to stay with relatives and friends. Mopti was nearly empty. The stores were closed and there was hardly anyone in the streets. Those who stayed clearly lacked the resources to leave – the most vulnerable people. So MSF continued to maintain a presence there, supporting two hospital units for malnourished children and an outpatient treatment center. When we got to Mopti, our original plan was to join the medical teams working in the Douentza hospital, a town even further north than Konna, but the fighting was intense and we couldn’t travel. How are the members of the Douentza-based MSF team? They’re feeling a bit isolated but they’re fine. We are in regular contact with them. Since the bombing started, they have stayed in the hospital so that they don’t have to come and go. This was to ensure their own safety and also to respond to medical emergencies. The teams conducted approximately 600 medical consultations over the last week, including 200 children under 5 years of age. Fewer people are coming to the hospital and the health centre we are supporting, which suggests that the town’s residents are not venturing out of doors, so we’re concerned about their health. Surprisingly, we have not received any wounded patients. There isn’t much information – the situation in Konna region is unclear. It’s unusual to actually be positioned throughout a combat zone, to be so close. However, that’s the situation we are in today! Yesterday (Monday), we learned that the French and Malian armies have arrived in Douentza. We’re waiting to obtain access so that we can travel to join our colleagues. What is the issue regarding access to Konna? We know that because of the ground and air fighting, this community could have significant medical and humanitarian needs. But as of now, and despite our repeated requests, we are still prohibited from entering the area, so it’s difficult to know what is going on there. Everyone – aid organizations and the media – is stuck in Sévaré, a town adjoining Mopti. Last week, we brought in two trucks loaded with medical supplies and medicine. We now have medicine on site and can organize mobile clinics quickly. We have enough medical supplies to stabilize any wounded patients and transfer them to Mopti, if necessary. Our surgeon, who is still in Bamako, is just waiting for our green light. But the more time that passes, the more bogged down the situation becomes and the less of an idea we have about what we’re going to find when we get there. Of course, the worse thing would be to get there too late. Over the last few days, our main priorities in this region have not changed – to strengthen the Mopti team and obtain access to Konna.